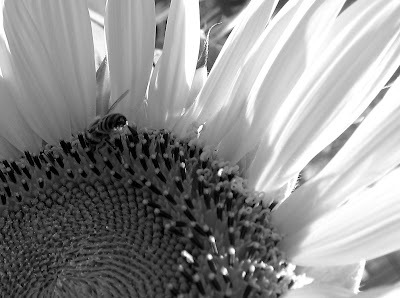 Sunflower, with bee, from July of this year. The kind of B&W flower shot that works. Your colour flowers are exceptional. That is a stunning mono macro. The backlight is outstanding.